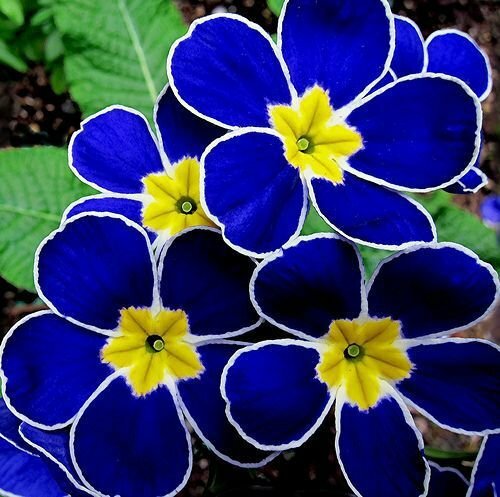 Is your mom a gardener? 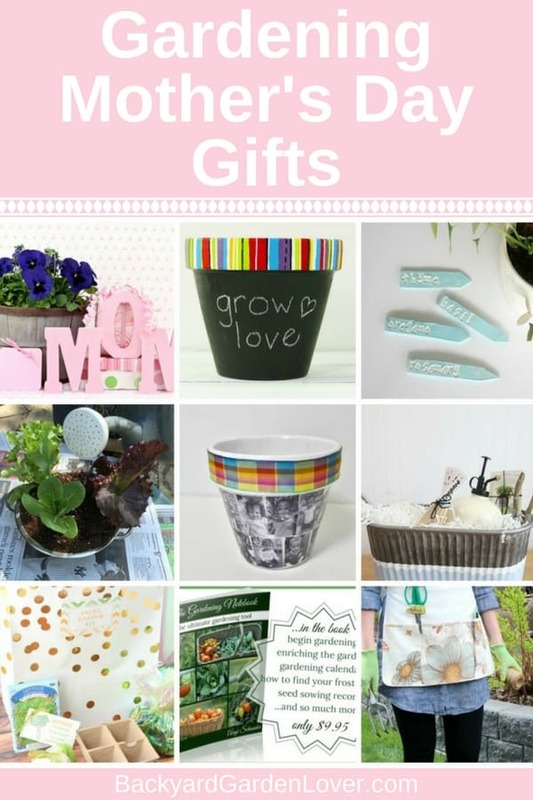 If she loves working in her garden, no matter how small that is, these gardening Mother’s day gifts will put a big smile on her face. There are many gifts you could give anyone who loves to get their hands dirty with gardening: from kneeling pads to make their weeding job easier, to more exquisite gifts like this handcrafted and hand painted MacKenzie-Childs Birdhouse Chandelier from Neiman Marcus. Sometimes we’d love gardening, but for one reason or another, it’s just not possible. It could be lack of time, lack of space, or a bad back or knees. 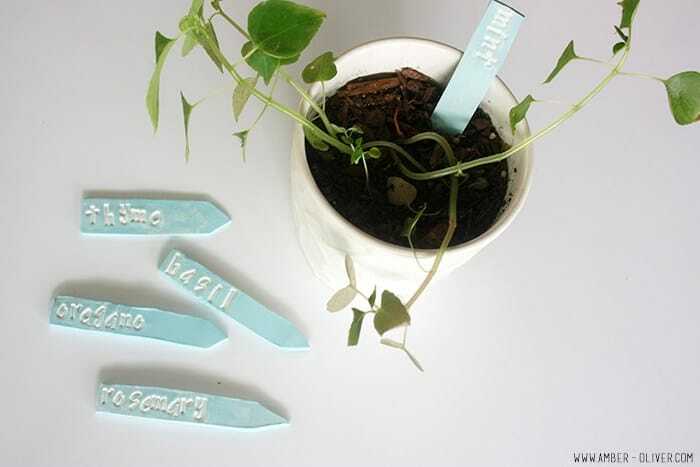 Here are some special gifts for gardening grandmothers. It’s no fun to wish for something but not be able to do it. Here are a few gift ideas if your mother loves gardening but can’t physically get out in the garden. 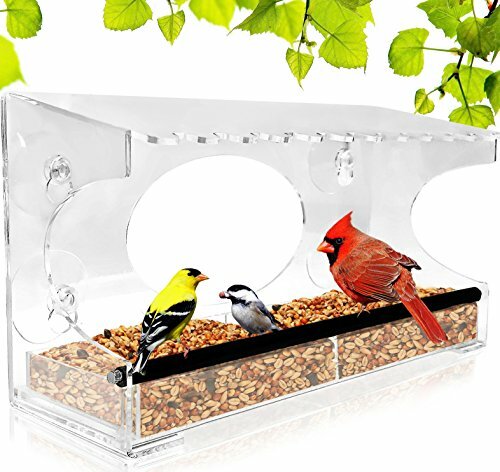 A window bird feeder so she can watch birds whenever she wants to, some throw pillows for her sofa, or a butterfly door knocker. 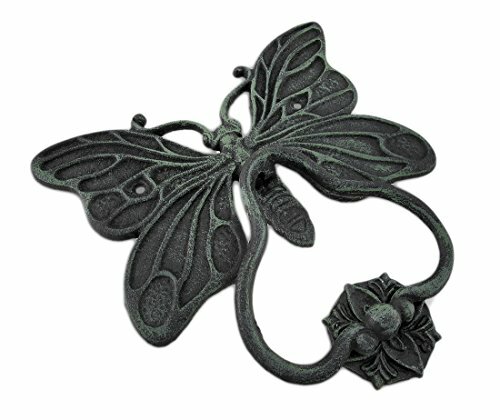 Or how about a flower wreath for her door? A succulent garden would be great too! These ceramic owl pots are so adorable! And here’s a collection of 20 unique succulent plants you can include to go with the cute owl pots. 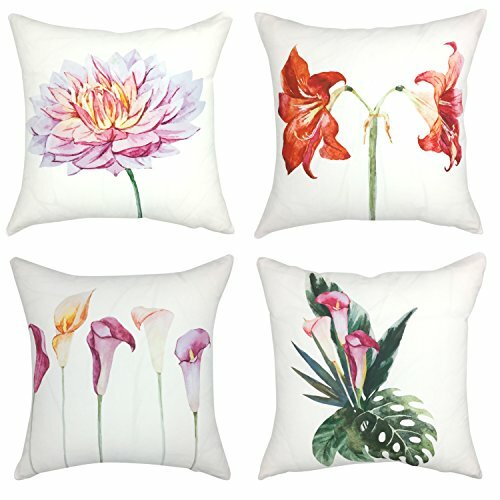 Floral Farmhouse White Cotton Linen Decorative Throw Pillow Case Cushion 18 x 18 Inch, Set of 4, Flower Cast Iron Butterfly Door Knocker And Strike Plate Verdigris Finish 9 X 10 X 1.25 Inches Green Window Bird Feeder – Extended Roof – Steel Perch – Sliding Feed Tray – See Wild Birds Up Close! bird bath – this hummingbird clay bird bath is adorable! If she loves flowers, you have an easy job. Just go to any local nursery and get her a few pots of flowers. 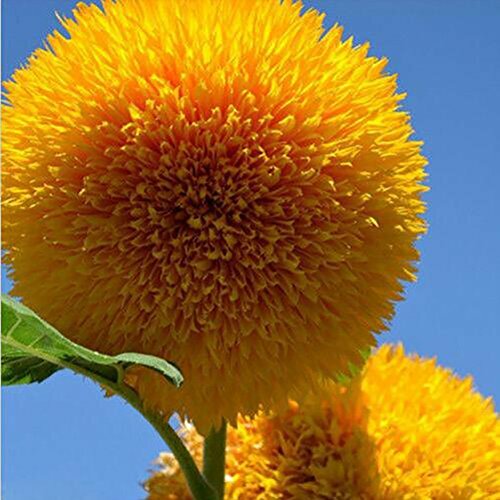 Marigolds, morning glories, poppies and the cypress vine are all great examples of flowering plants that are also easy to grow for the both novice or experienced gardeners. Some of my favorites are hydrangea flowers and rose bushes. 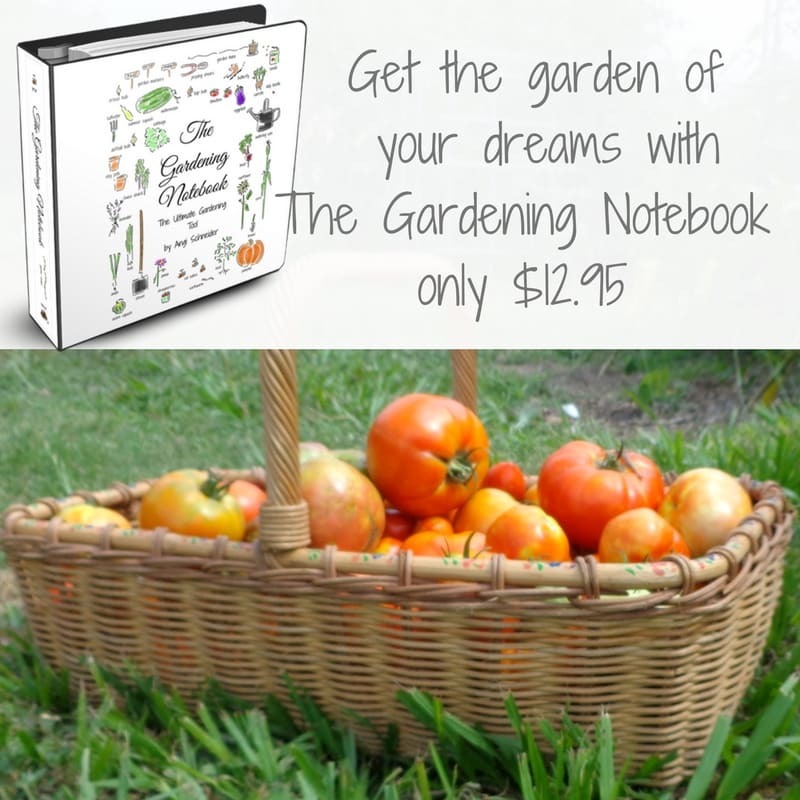 Give mom a gardening notebook to keep note and remember important things about her garden. It’s so easy to forget details! She’ll love this gift, and it;s perfect for those of us who wait for last minute, since it’s printable! 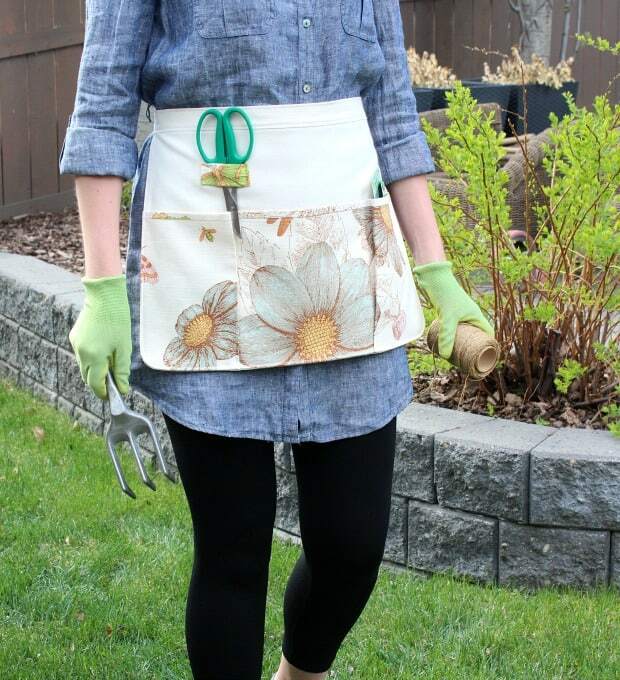 Help mom keep her clothes clean while gardening with this DIY gardening apron. Helps her stay organized too and can save her unnecessary walking to and from the tool shed. What a fun gift! 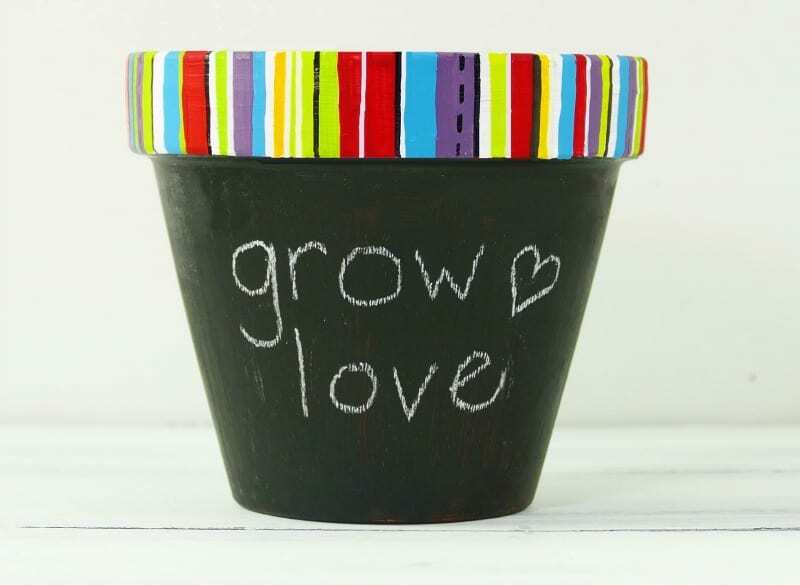 If you’re a bit crafty, this chalkboard flower pot is a meaningful gift you can create for mom. Does she have a favorite color? Accent the rim with that color. 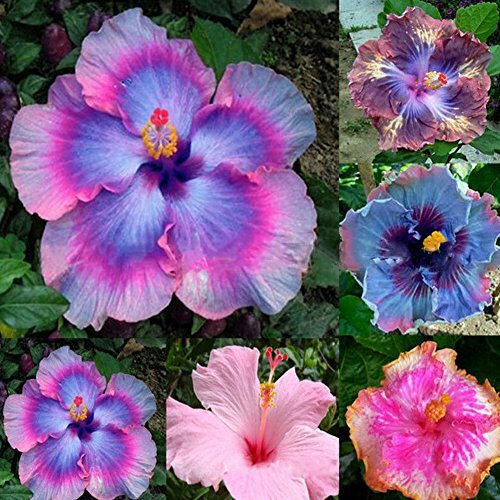 Does she have a favorite flower (or flowers)? 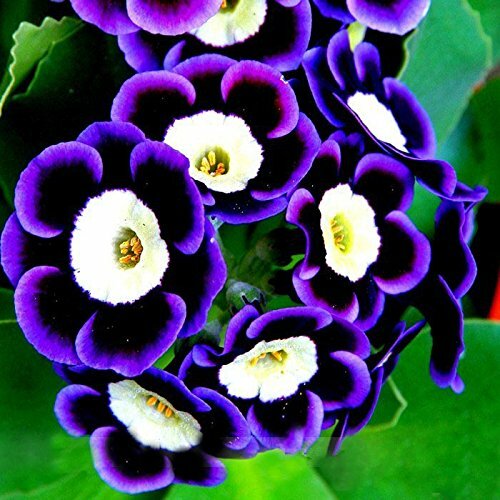 Plant it in this attractive pot. 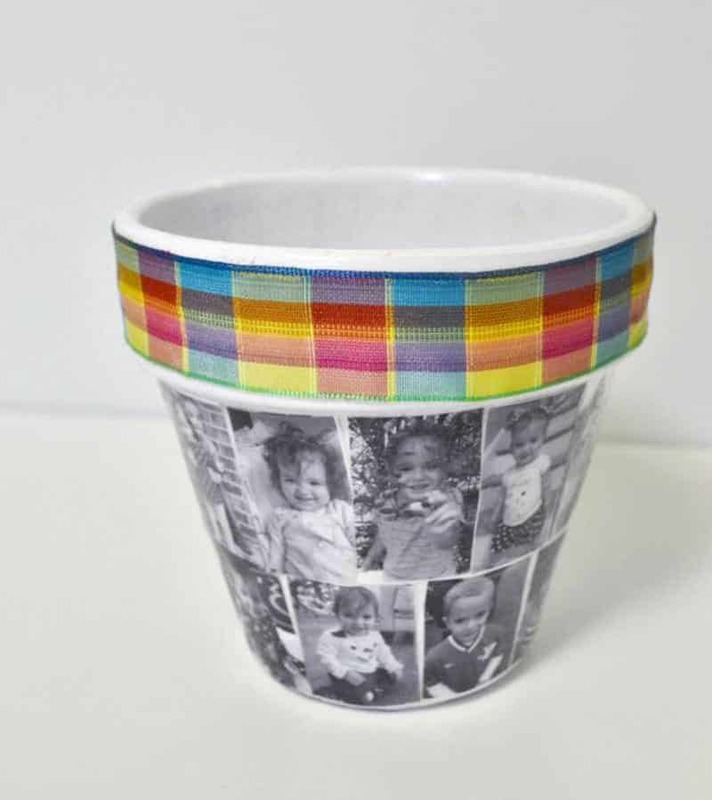 Take mom down memory lane with this custom photo planter. What a treasure of a gift! Linda has an easy to follow tutorial for making one of these. 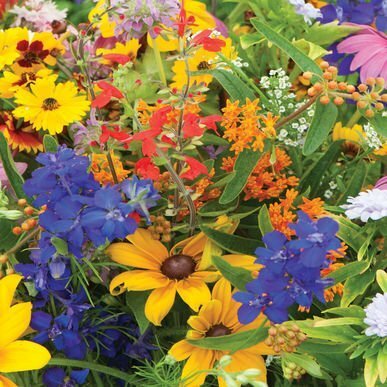 Making a spring garden basket will allow you to include many goodies in one gift. 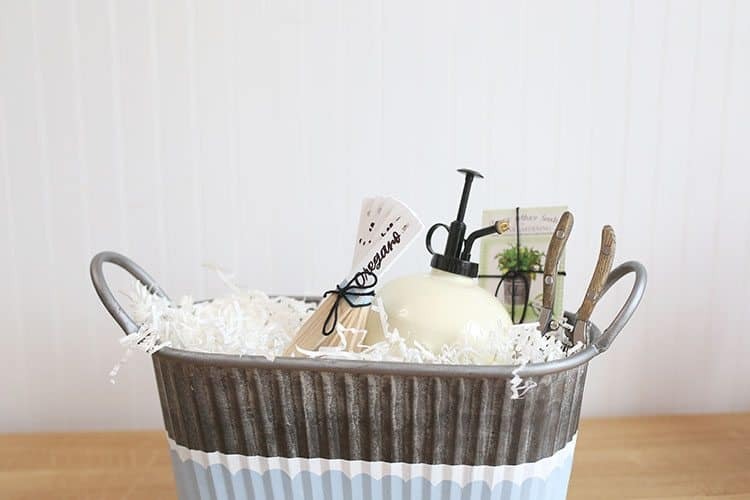 If your mother (or grandmother) is like mine, she’ll love all the thought you put into creating this basket for her. 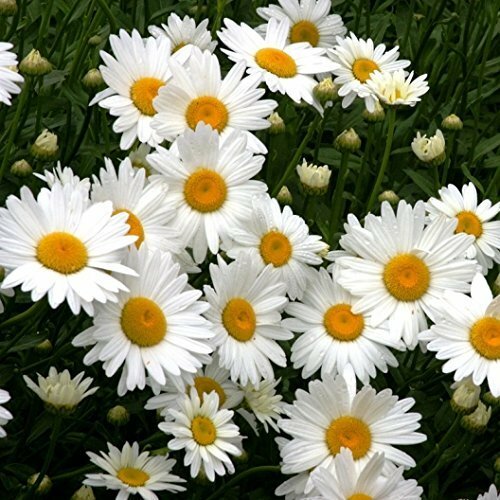 Add some of her favorite herbal soap and lotion (to keep her hands healthy after digging in the garden), a nice garden book, maybe some markers you made yourself, and anything else she might enjoy. 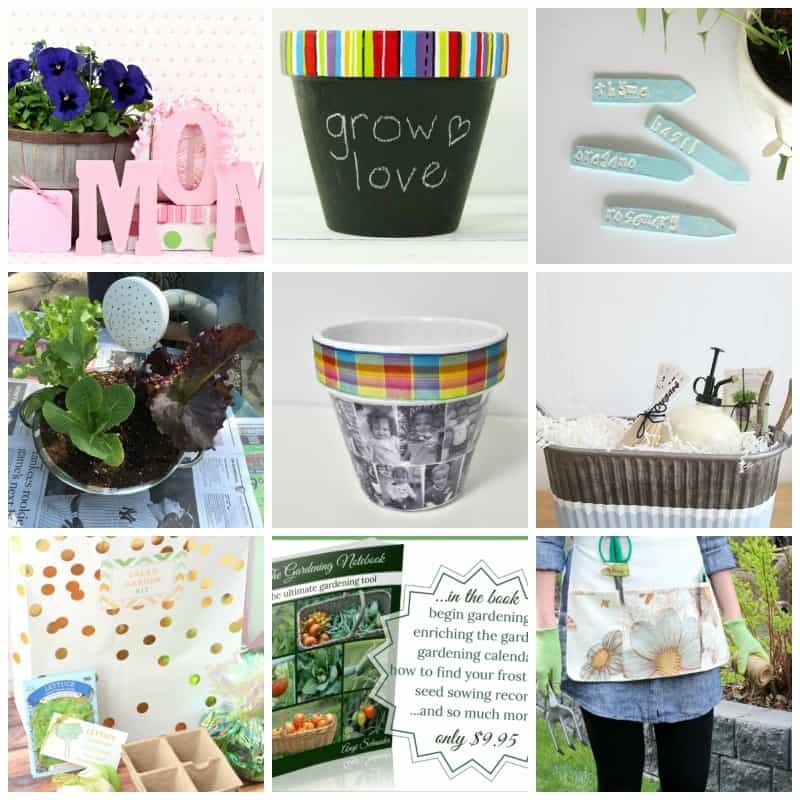 If you want a practical gift for Mother;s day this year, this is it! 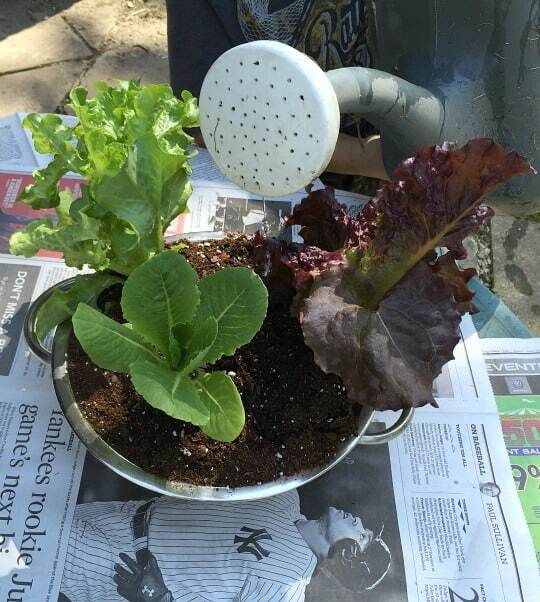 This colander salad garden will supply mom with a few lettuce leaves for her salad all summer long. 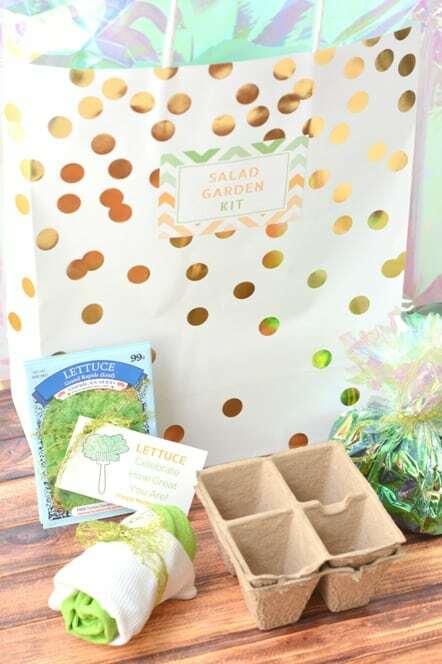 This is a very simple gift idea any mother will enjoy: a salad garden kit that includes all she needs to grow a small garden.